Michelle Obama's new biography, Becoming, hit the stands last fall. Since then it has been at the top of every ones reading list and the wait list for this title in our library system is pages long. 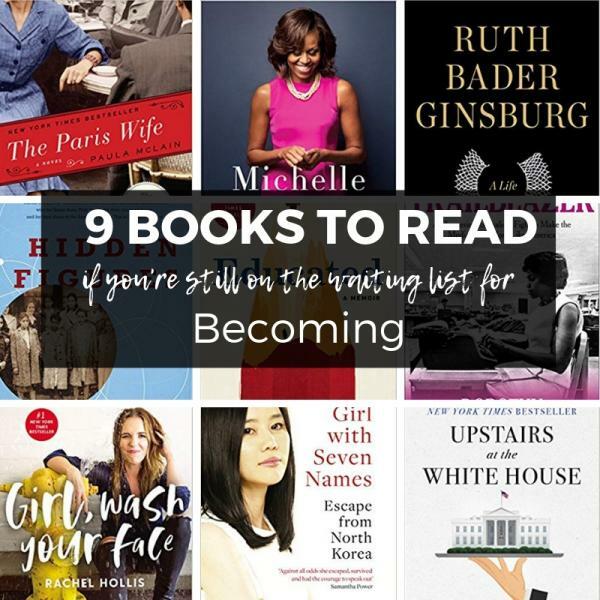 Save your dollars and read some of these titles while you wait for your name to come up on the list for Becoming! We see some snow melting today!! Yeah. It could be wishful thinking, but we are reading stories about SPRING this morning. Early Literacy Tip of the Week: Find a scrap of exposed sidewalk or driveway and get out the sidewalk chalk. Bring the outdoors and fine motor skill together in one activity, coloring with sidewalk chalk helps build fine motor skills. Older kiddo's will love practicing writing their name for all the neighbors to see. Today was so much fun with 3rd and 4th grade classes from Longfellow taking a fieldtrip to the library for UnMaker Morning! The kids had a great time and learned what's inside some common electronics. Even the teachers had a great time! With school being on a make up snow day. 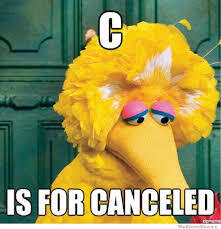 . . our family movie is cancelled. Have a great day at school everyone! Today we will be having a Dinoriffic storytime! 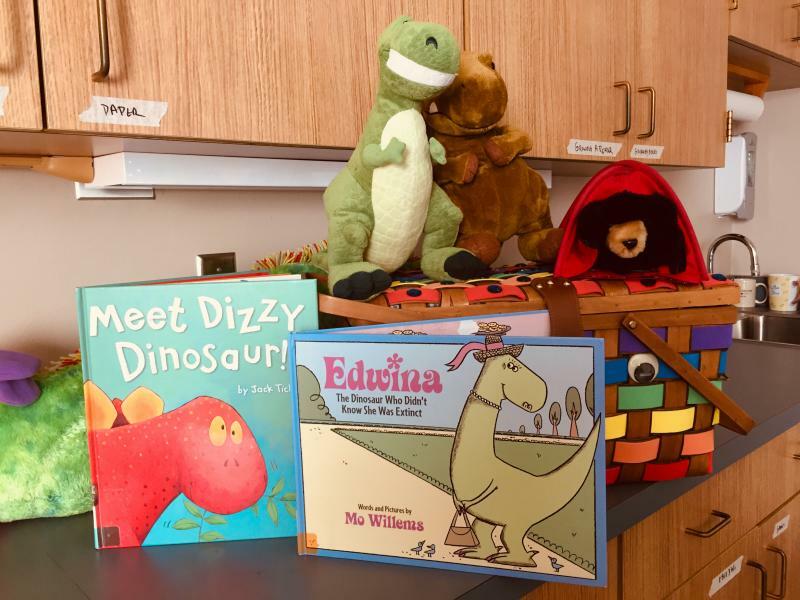 We will read some fun dinosaur stories, dinosaur felt board activity, dino everything! Early Literacy Tip of the Week: Have your little one do mental aerobics! Fine motor skill activities are stimulating for the brain. Have your baby play with knob puzzles, point at objects, do finger plays, make a game out of hand washing, pick up small snacks like cheerios, etc. March "Guess the Book" is up! The March Guess the Book is up in the library! Stop by and get your answers in. Congratulations to our February winner, Emily! Winner is choose at the first of every month. Guess the answer from the image or solve online! 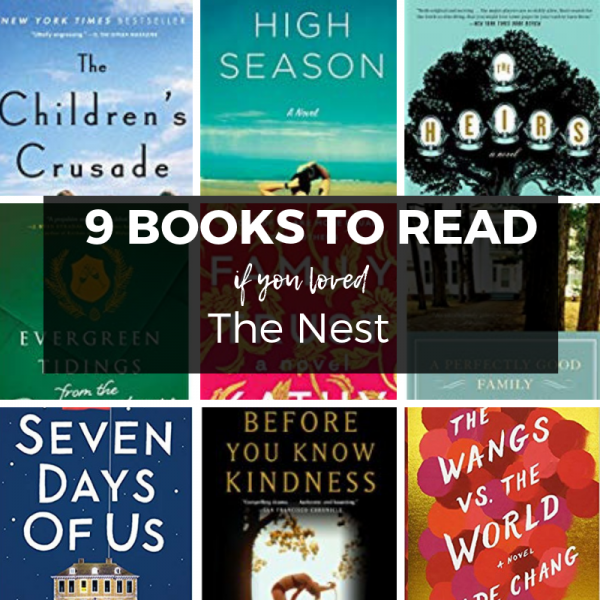 Did you enjoy the last Library Book Club book, The Nest? 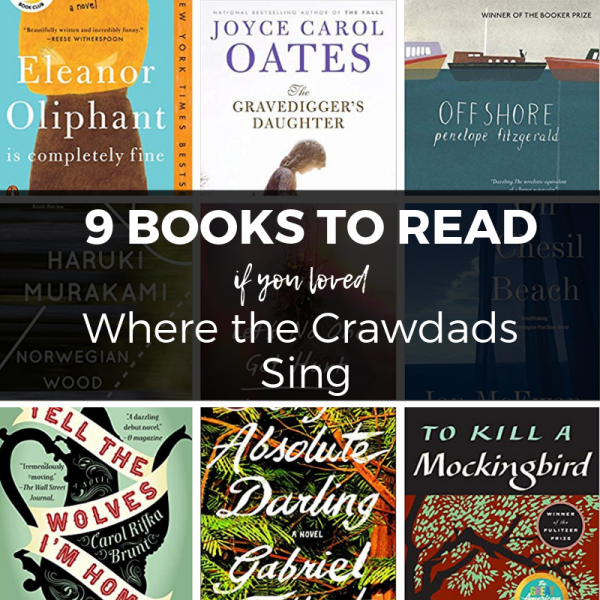 If so, you should read one of these titles next! 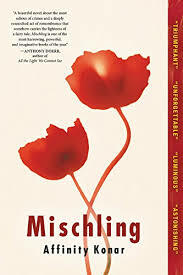 The Library Book Club next book will be Mischling by Affinity Konar. 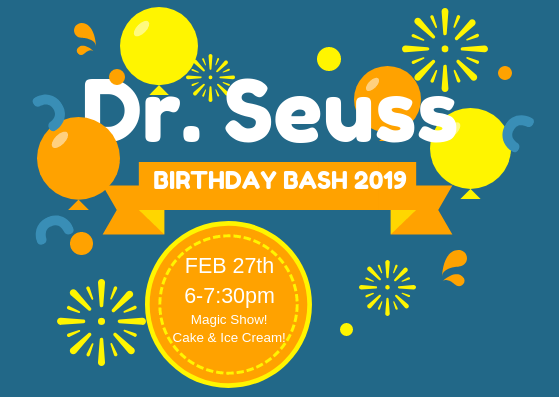 Join us Monday, March 18th at 6:30pm! 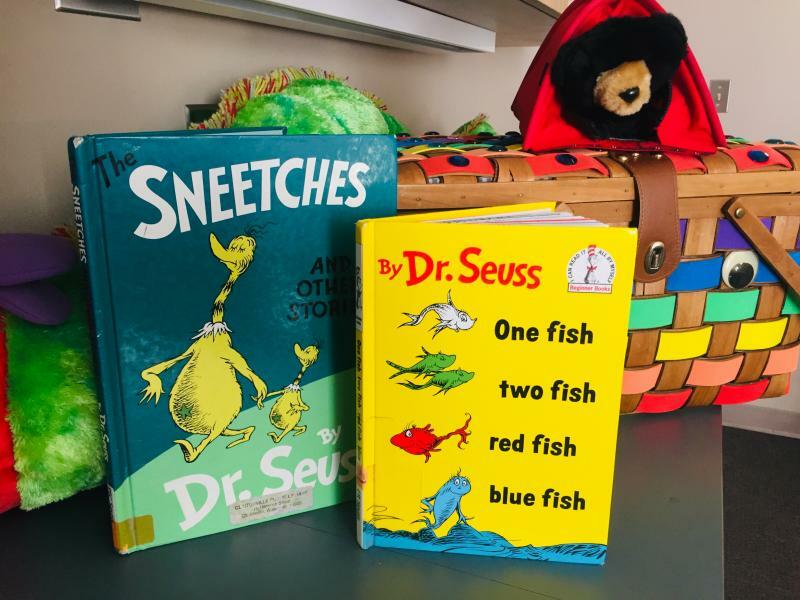 Early Literacy Tip of the Week: Rhyme with your kids! 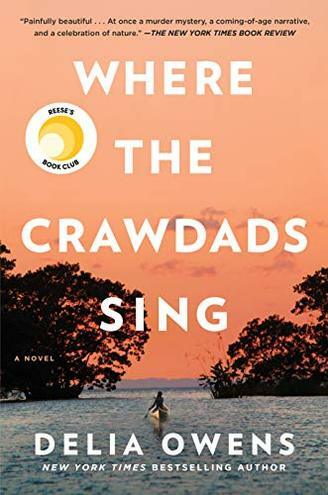 Where the Crawdads Sing has been on all the top sellers lists almost all winter. If you have not read this incredible book by Delia Owens yet, it is a must read this winter! This is a great book for adults and young adults. The story is set on the Carolina coast in the 50's and 60's. If you love a story with a quirky main character, a murder investigation, with a splash of romance . . . you'll thoroughly enjoy this read. 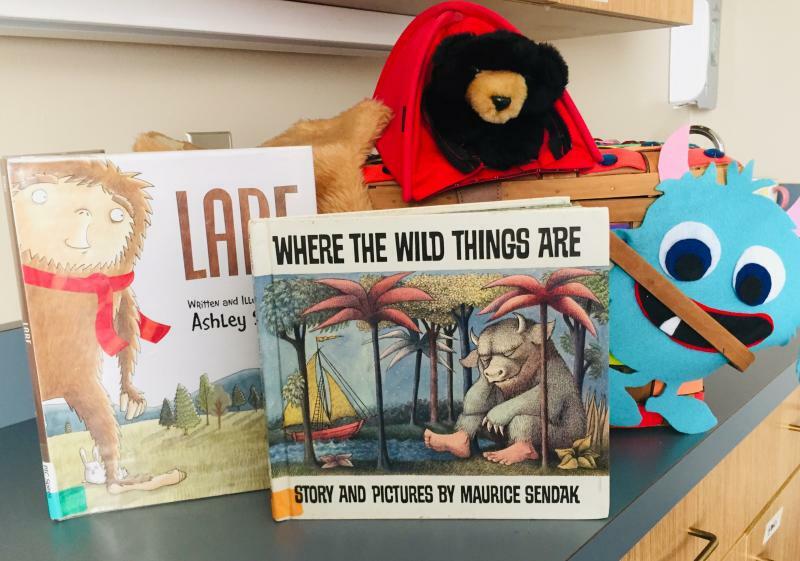 If you already enjoyed curling up with this book during one of our snowstorms this winter, then you'll love one of these titles for your next read.